Philadelphia is blessed to contain a network of neighborhood based organizations dedicated to keeping our communities clean, green and beautiful. Keep Philadelphia Beautiful works to support these on-the-ground efforts in the following ways. KPB seed funds community-driven anti-litter projects annually through our microgrant program. This initiative aims to build the capacity of neighborhood-based organizations by specifically supporting new or existing programs. In the past, we have supported tool libraries, youth-driven community organizing work, and the expansion of successful PSA campaigns. In 2017, we focused our funding on tackling cigarette litter. Read more about our microgrant program here. KPB partners with the Philadelphia Association of CDCs, the Philadelphia Commerce Department, the Philadelphia Streets Department, and the Philadelphia chapter of the Local Initiatives Support Coalition to bring together neighborhood leaders quarterly to work together to combat litter in our communities. These quarterly sessions have involved best practice sharing, trainings, and meetings with City officials to coordinate efforts. KPB staff has partnered with neighborhood based organizations to provide trainings on City services (check out our annual Community Cleanup Resource Guide here), goal-setting, how to plan an effective cleanup, and the ins and outs of recycling in Philadelphia. Want to learn more about how to get involved with these programs? 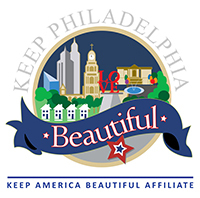 Send us a note at info@keepphiladelphiabeautiful.org, or call our offices at 215-854-4000.